Check-in was a breeze and we were allowed to check in early. Our room was clean and spacious. The staff was warm and welcoming. Breakfast was included and was sufficient. We enjoyed our stay. Proximity to the airport was great and it was very clean. My wife and i were looking for things to do o. New Orleans and the staff was very helpful in answering our questions about the area. The overall experience was good. Would stay there again. It was fantastic. I would recommend this hotel to everyone. Had a free shuttle to eating places within a few miles and the airport. Only bad thing bathroom was very dirty and elevators were very old. Breakfast was fine, people were friendly. Nice hotel. very clean. The staff is friendly and its in a very good location. The closest hotel to the airport. Easy walk, but be careful crossing the busy road - no pedestrian crossing lights. Hotel offers airport shuttle anyway. Room very basic. No fridge, no microwave. Handy 24-hour restaurant in same building. So you're kicking around the idea of a holiday to Kenner? 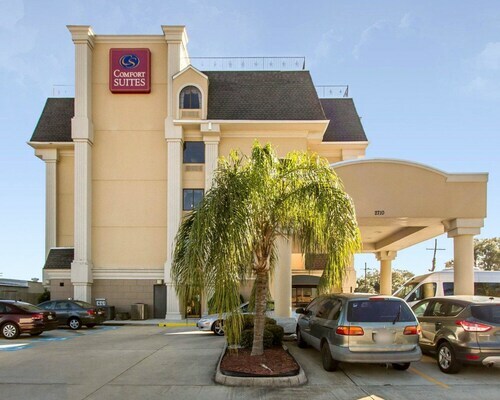 If you want a place to lay your head that's located close to Kenner attractions, use Orbitz to pick your travel dates, and then presto! Look through the list of hotels and other accommodations to find those that are near what you want to see while you're in the area. We make it easy to find a convenient flight to New Orleans, LA (MSY-Louis Armstrong New Orleans Intl. ), which is 1.7 mi (2.8 km) from the city center. Find your ideal flight in nothing flat by using the filters on our site to narrow down your search. To get lodging that has all the extras you want in a hotel, use Orbitz to get your must-have amenities whether that's a swimming pool, free parking, or a kitchen. Go for a swim when you stay at one of these Kenner properties, liked for their pools. What's the Weather Like in Kenner? 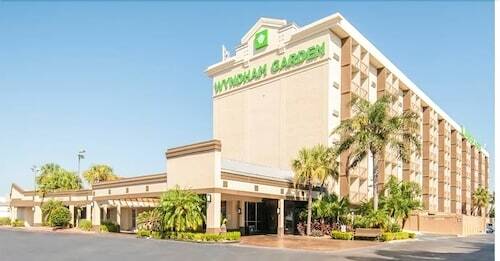 Great location close to restaurants facility was very well maintained left to early to test the breakfast. Close to our Airport, Brand new and Very Cool Studio Apt. Off Street Parking!